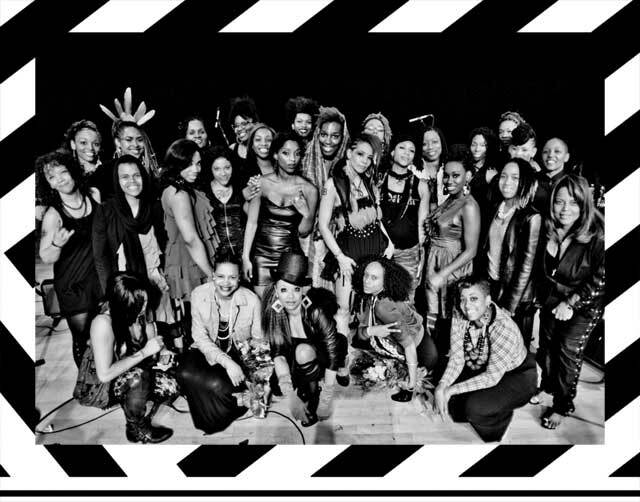 Maryam N. Blacksher - jessica Care moore's Black WOMEN Rock! Maryam Blacksher‎ is an exuberant violist who approaches her instrument with precision, strength and grace. Classically trained, Maryam finds great inspiration bringing her artistry to theatre and music projects that extend and/or deconstruct the normal. She has performed with notable artists such as poets Saul Williams, Carl Hancock Rux and Aracelis Girmay; hip-hop artists Dead Prez, Talib Kweli, and Kanye West; indie rock band Yo laTengo and punk rock vocalist Tamar-kali. As well, Maryam has lent her musicianship to the mind-clearing practice of Kirtan led by vocalist and yogi, SistaShree. 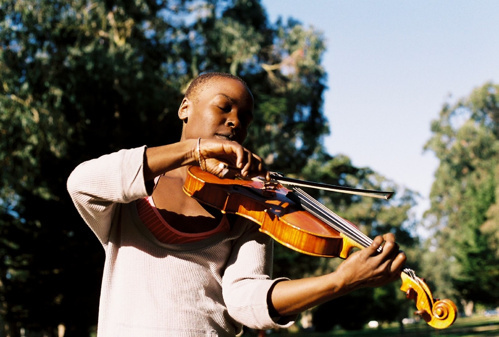 As a gigging violist, she has played at such New York City venues as C.B.G.B’s‎, Carnegie Hall, 92nd St. Y‎, Bowery Ballroom, Irving Plaza, Nuyorican Poets Café, RUSH arts gallery, Lincoln Center Out of Doors and Celebrate Brooklyn. Mission: Through musical study and expression, cultivate nurture and understand the vastness that Is.